I’m sure you’ve seen many posts about shopping bans, like Cait’s, from Blonde on a Budget, or spending freezes like And Then We Saved’s. I’ve decided to do my own version as well. I need to pay off some major credit card debt, and I need to see exactly how much money I make - without spending it on useless items. 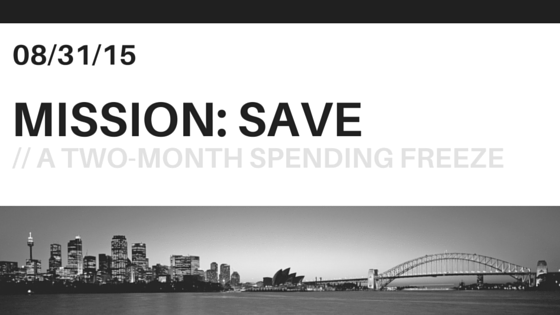 My spending freeze will start September 7, 2015 and end on November 7, 2015. That way I will have enough time to buy gifts/whatever else is needed for the Holidays while also being able to pay off my credit card. That’s about $350 a month of money I HAVE to spend. I can’t even imagine how much money I spend on all of this. I’m starting this challenge with approximately $900 of credit card debt. I truly believe I can get this down in two months. I make about $600-$800 a month at the moment. I could potentially save between $300-$500 a month! That would pay off my credit card and then some! At the end of each month I will update you on what I have spent money on and how much I have saved and how paying off my credit card is going! Any money left over after this challenge will be going straight to my savings account! If you want to join my spending freeze as well, please comment below! I’ll link you to this page so that others can find you! This month had a lot of success, but it was also a month of progress and reworking my plans so that I can reach my goals in a more successful (and cheaper) way. 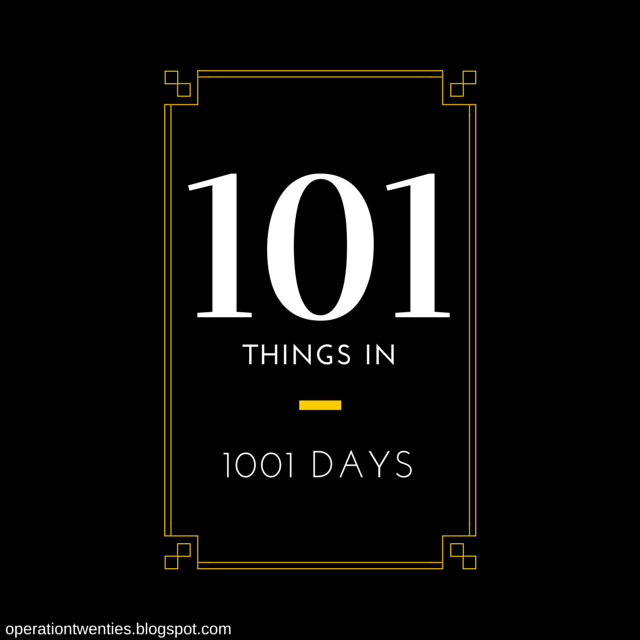 Check out my list to see what all I have completed in the past few months, and what is coming in the next few months. Until then, read below! Tip a server 100%. Okay so I did this at Waffle House judge me. Eat at 10 restaurants in my area (6/10). I added another two restaurants to my list. Even if I have technically had First Watch before I had a terrible experience the first time so I’m not even counting it. Also check out Butcher & Barrel’s post! Run 500 miles. I’m officially at 186/500 as of August 21, 2015. Always making progress! Camp out in my backyard. Okay technically it was my friend’s backyard but we did it! Visit 3 different breweries. I finally visited my third brewery! It is called Reformation Brewery and it is a local brewery. I went for a private event, which was my friend’s 25th birthday! Read about it here. I leave for Chicago a few days after this is posted - so be ready for next months update! Leen Eats: Butcher & Bottle Review! Just because summer is over for the kiddies does not mean summer is over for those of us who do not have kiddies, especially those of us who are post-grad or attend online classes (me, me, me!)! Connor and I were sitting around doing absolutely nothing a few weeks ago when he just randomly asked if he could take me to dinner. I, of course, said yes because I was starving AND because who can say no to a meal?! We looked up menus of a few places online, but they were too expensive for a last-minute date night. I remember a few of my friends mentioning a place called Butcher & Bottle. 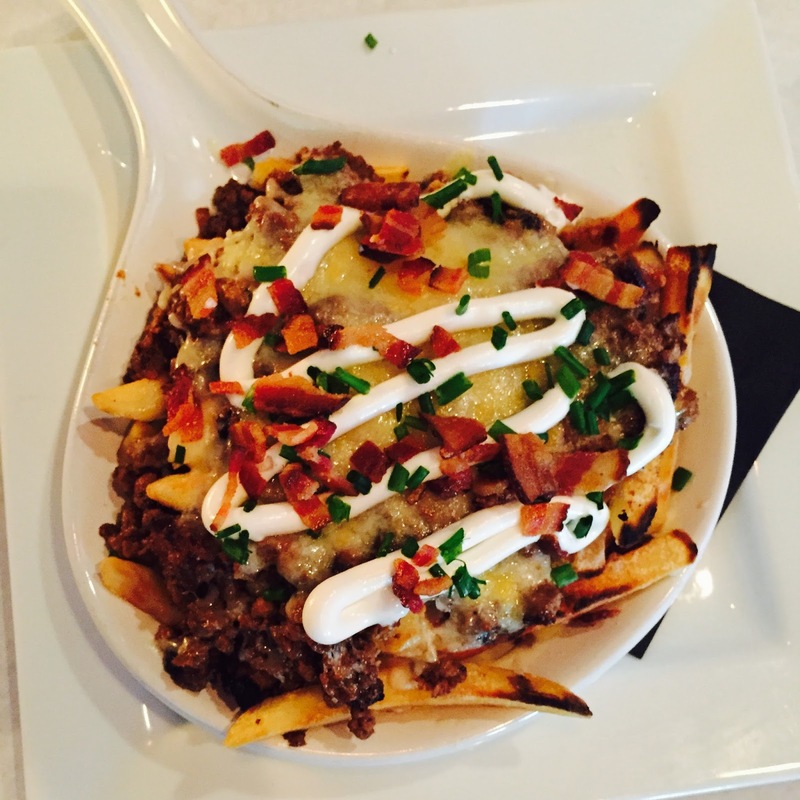 We looked up the menu and the first thing we saw were these Sloppy John Fries as an appetizer. That was all it took. Do you blame me? They were french fries with ground beef, sour cream, cheese, bacon and pickles but since neither of us like pickles we asked if they would leave them off. If I could explain how hungry I was when these arrived to the table there would be less judgement for how quickly we ate them. The dish was delicious and we are thinking the dish is named after one of their Chefs, John Bertrand. Bless you John Bertrand. 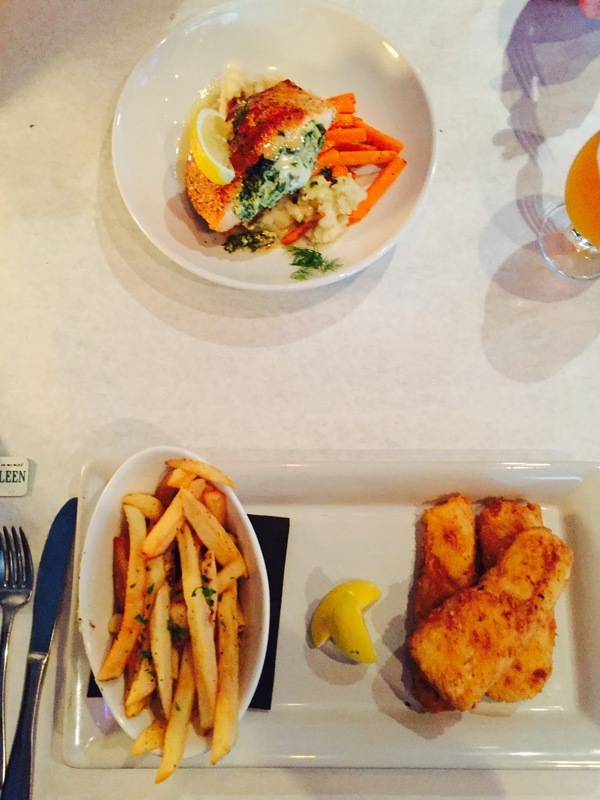 I went basic and ordered the Fish and Chips and Connor tried the Stuffed Salmon. His meal had salmon stuffed with goat cheese and spinach and with was resting on a bed of mashed potatoes and carrots. It was mouth-watering. The fish and chips were delicious - but honestly, Old Blind Dog still has the best. Since Butcher & Bottle is a gastro pub, they had a lot of local beers on their menu. Connor tried Hop Hash from Sweetwater brewing and he really liked it. I stuck with water because decision-making has become too hard for myself. Outside they had a couple of corn hole boards set up and a pretty big seating area. Butcher & Bottle would be a cool place to hang out on a summer evening and we’re probably going to go back sometime with a few of our friends. So look out, John Bertrand, I’m coming for those Sloppy John Fries. Have a birthday (21+) coming up? Have an engagement party that you need to plan? How about an after-work party? 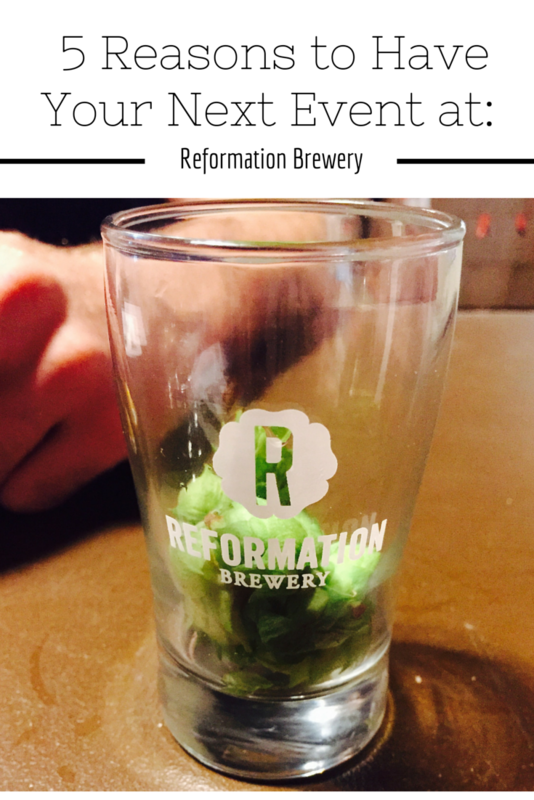 You should pick Reformation Brewery to be the location of the your next event and here are the 5 reasons why! 1. You can put fresh hops into some of your beers. 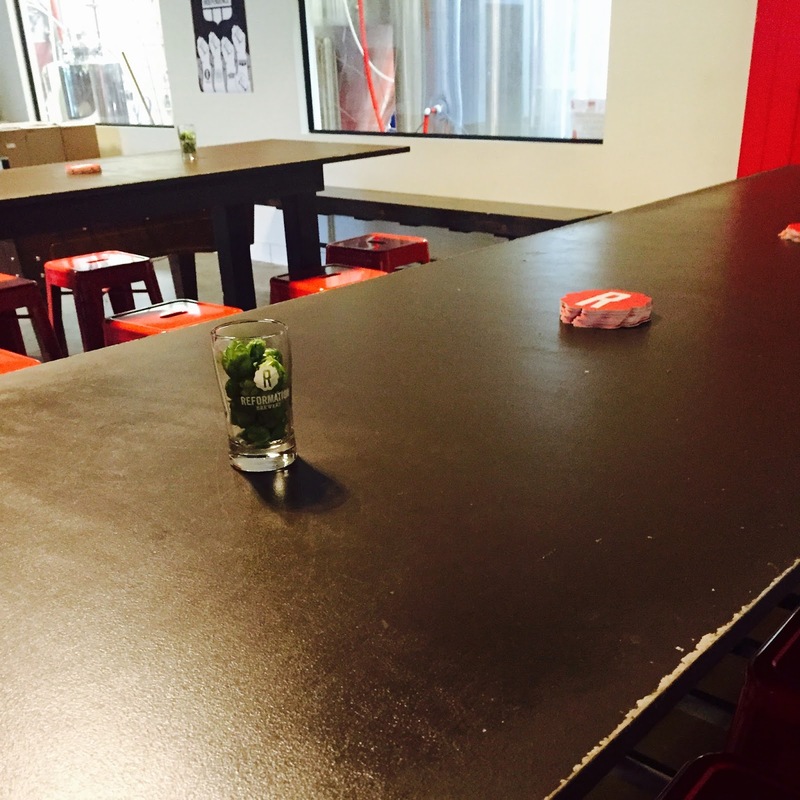 They have a little glass or two on each of their tables that are filled with fresh hops! The rumor is that the owner grows them in his own garden! 2. 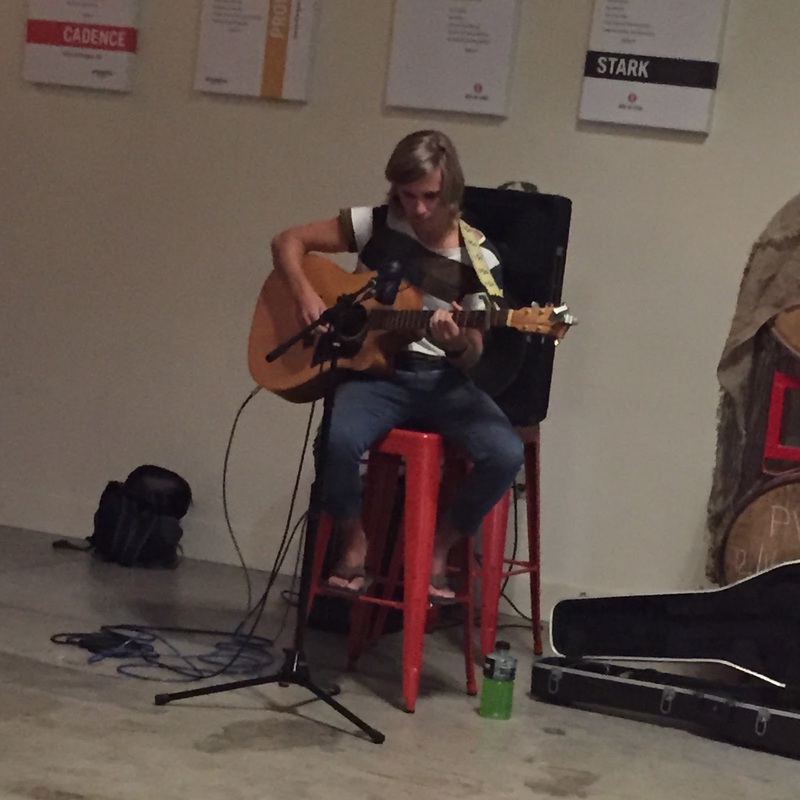 You can hire your own live music to preform! They had music playing until the guy who was performing at the private event we attended, INSERT NAME, started playing! INSERT NAME was so awesome and he definitely got a few more fans that night. You can check him and his music out here(LINK)! 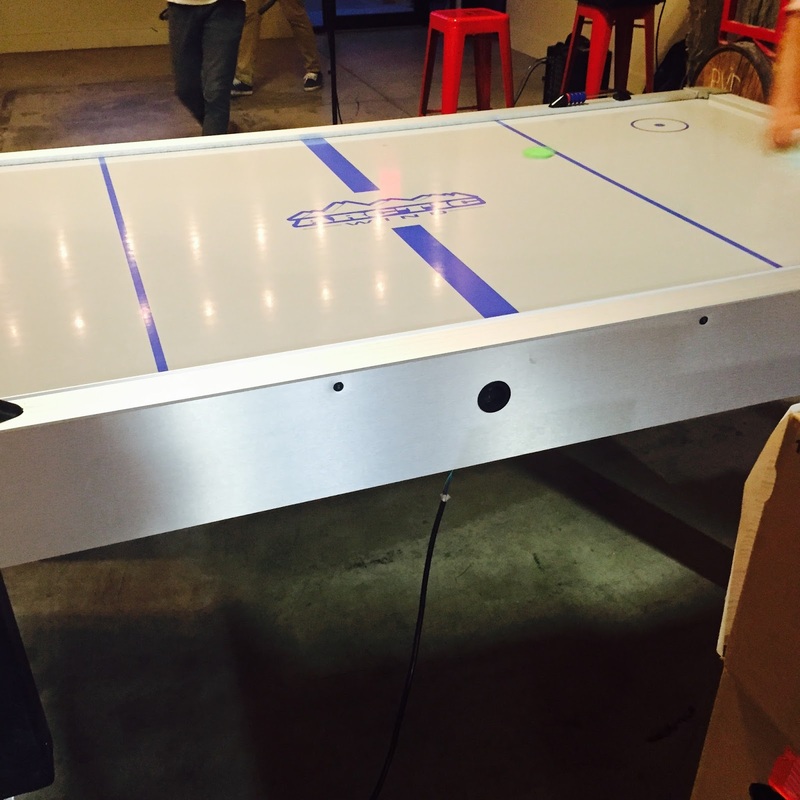 Maybe it was just Connor and myself but we definitely loved the air hockey table! Reformation also had a foosball table and a couple of corn hole boards outside! That way the people who don't want to dance can just play games instead. It's definitely way more laid back. 4. 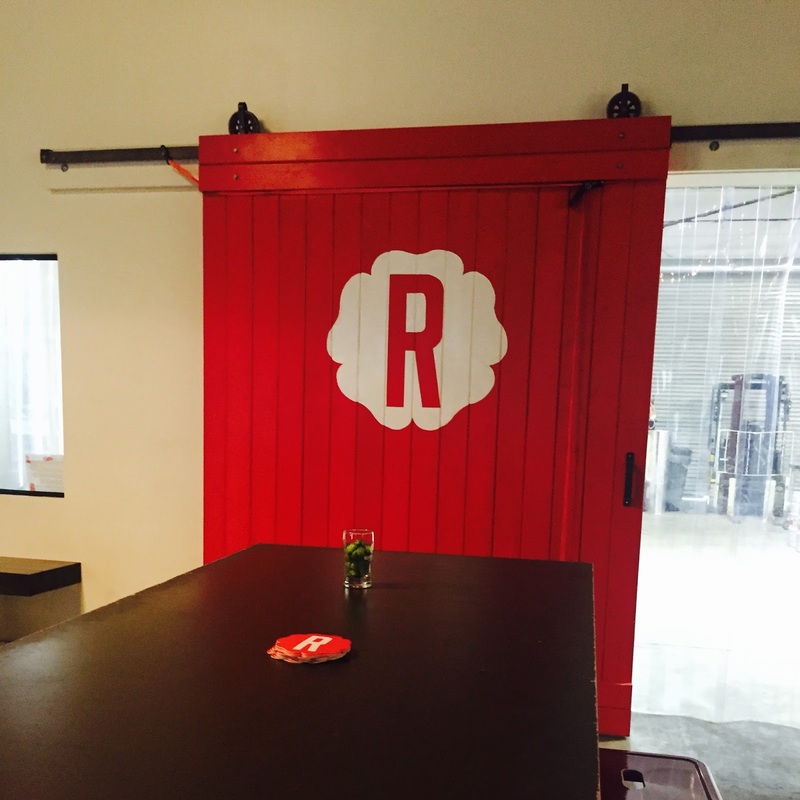 You can have a private moment in a booth, or learn more about Reformation from the bartender! Reformation brewery has a nice seating area away from the dancing floor and games so that couples, or just friends, who want a private moment to talk can do so in a booth! I know a few of my friends who would love to chat up the bartender for more info on Reformation and their beers and I'm sure you guys have those friends as well! 5. 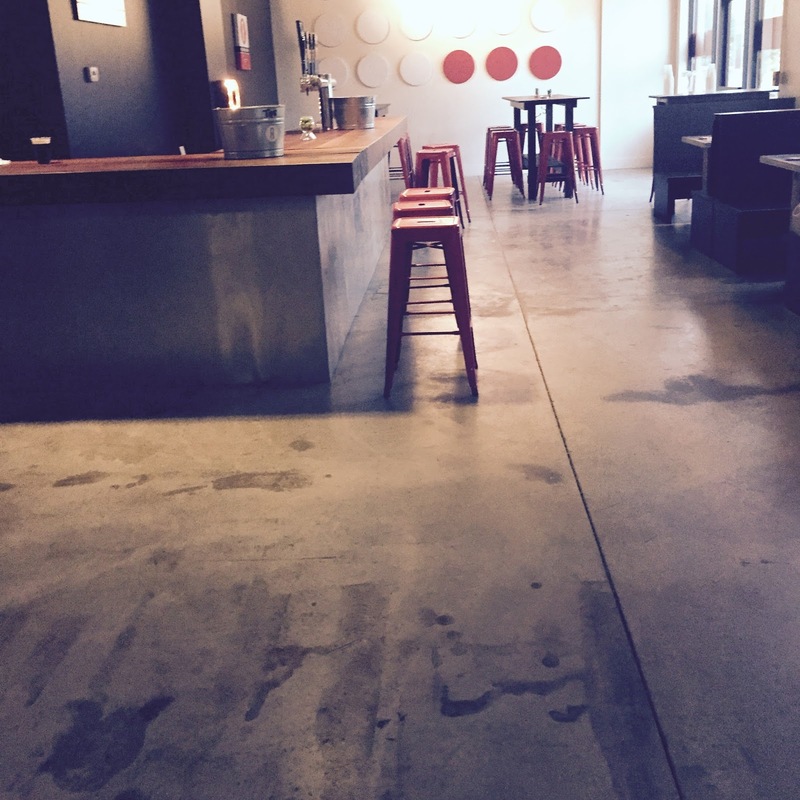 You and your guests can take a tour of the brewery! Maybe it was because it was my friend's 25th birthday, and she loves Reformation, but we got a free tour! I'm sure it was included in the costs of reserving Reformation and its Keeping Room, but it was still awesome! The tour exists just beyond this red farm door! I hope these 5 reasons are enough to get you to at least check out Reformation Brewery during its business hours. Connor and I had a blast at Taylor's 25th birthday here and I really hope you and your guests have fun at your next private event! 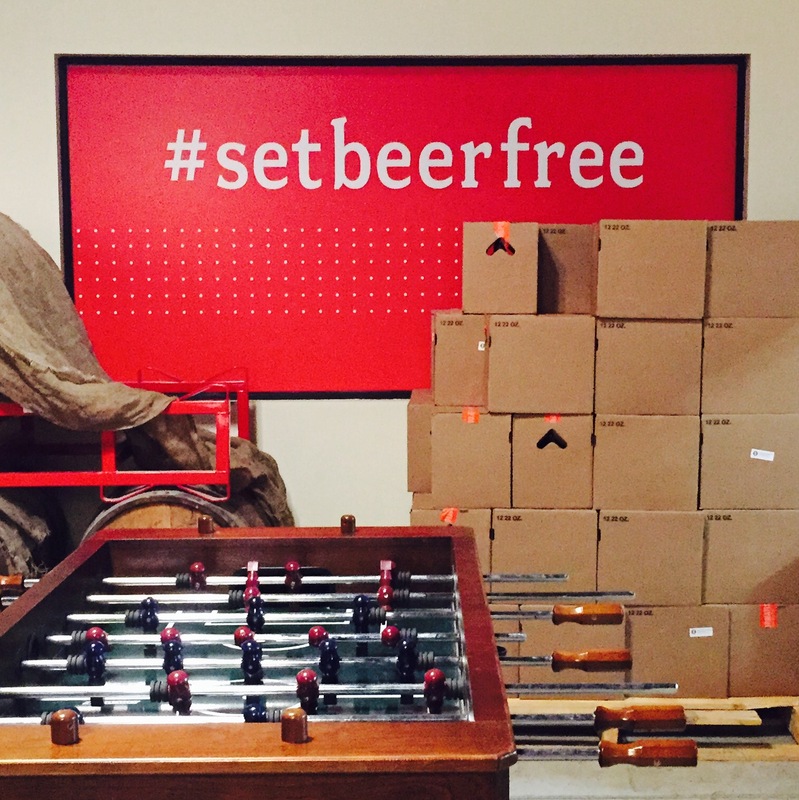 Just remember #setbeerfree ! 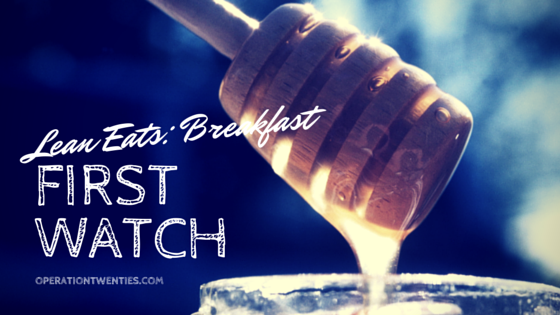 Leen Eats: Breakfast at First Watch! I consider myself a breakfast connoisseur and I don't really care if it is self-proclaimed or not. I worked at breakfast restaurant for three and a half years and I have grown to love all sorts of breakfasts (including breakfast for dinner which is in my top 5 favorite meals). There's a local breakfast and brunch restaurant that opened up last Fall that I had a terrible experience at but I decided that it's been almost a year since and First Watch deserved a second chance. Connor and I went to First Watch because we were searching for a good breakfast restaurant that wouldn't break the bank nor make us feel like crap later on (especially since I was starting the 21 Day Fix the next day). I hadn't been there since three days after their opening in October 2014 so I was ready to try it again. We walked in and the wait was about 15-20 minutes, but they took my number so that they could automatically text me when my table was ready. 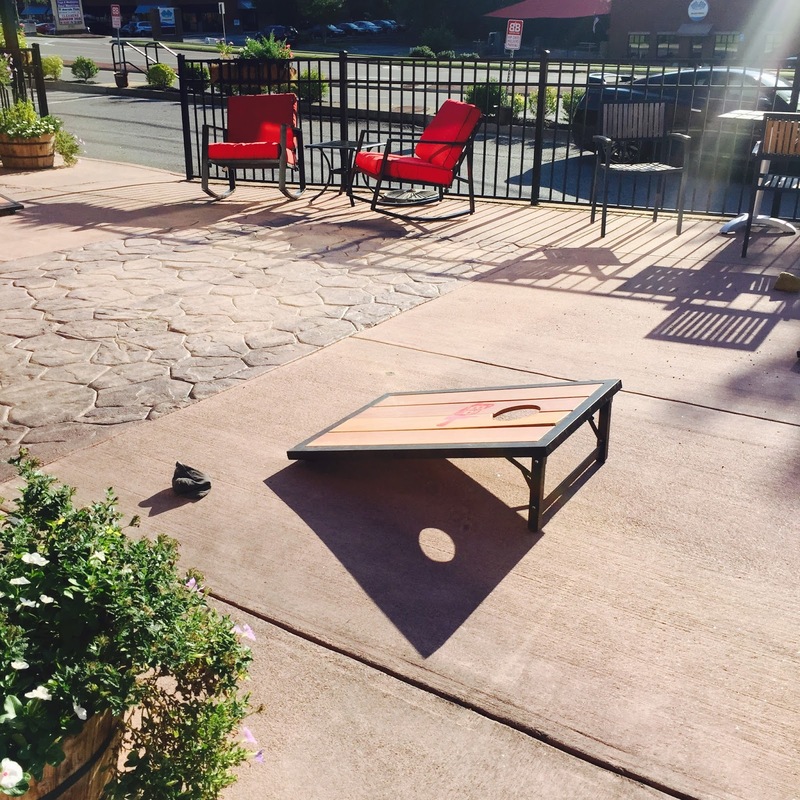 We went outside and explored a little and noticed that not only did they have tables outside for people to sit at while waiting but also a corn hole set! I loved that! Our wait ended up being closer to 15 minutes. I really enjoyed the fact that they could just text me when my table was ready but I did feel like I had to pay close attention to my phone - something I'm trying not to do when I go out to eat with Connor. We were sat and greeted by our server fairly quickly, but did need some time to look at the menu. He got coffee - which I was told was really good (bonus points for making him happy!) and I just got water. Our water "pitcher" was a tall and large mason jar-like glass. I liked it because I drink a lot of water at my meals and even more in the mornings! I asked the server if I could change their Eggs Benedict up a bit and get turkey sausage on it besides ham and tomatoes. She made it happen! Connor got the Tri-Fecta meal with a waffle, scrambled eggs and thick cut bacon. He ended up adding a side of potatoes because he thought the ones that came with my Eggs Benedict looked super delicious. 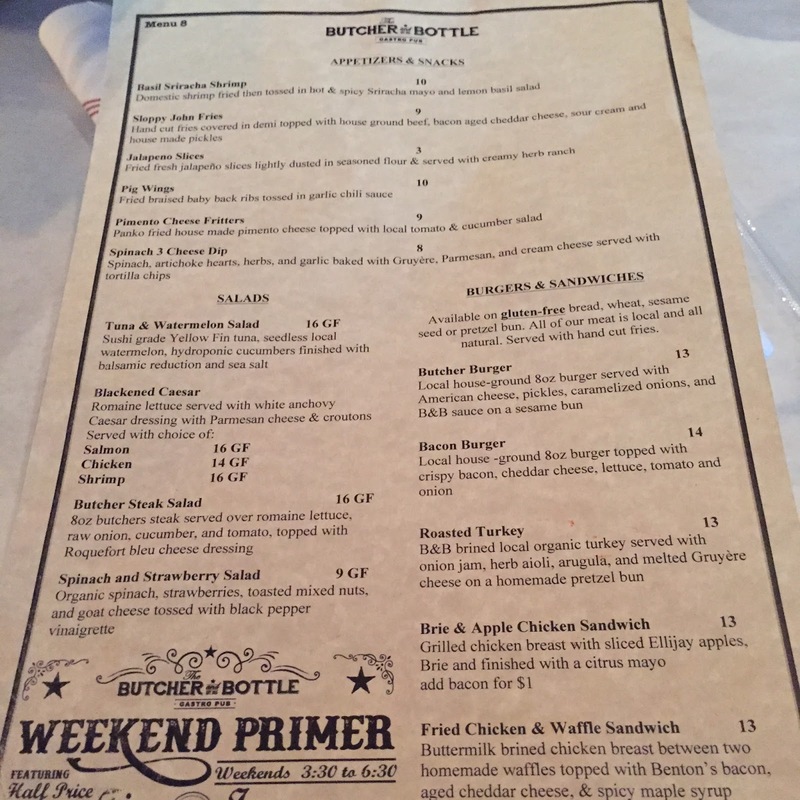 Overall our meal and service was way better than our first experience and the price was average for a brunch restaurant ($30.00 with a 20% tip!) and I will be returning to try their other breakfast items and maybe even lunch! Toned Up Tuesday: 21 Day Fix & Beachbody! If you know me at all in real life, through my blog or through my fitness Instagram you know that I've been up and down with my workouts and my eating habits. I tried Kayla Itsines and realized how much I hated cardio then I tried James Grage's Rewired plan (who, by the way, followed me on Instagram a couple of weeks ago!) and was almost finished before I became bored and THEN started Fit Nika's gym guide while still trying to keep up with ToneItUp.Com world. I still love Fit Nika's guide, but I felt some other pull. I want to actually help people myself. As if he could read my mind my cousin Robb reached out to me with a suggestion on how I could help people - by becoming a Beachbody coach. I was immediately all for the idea, then I felt like I couldn't do it and repeated that process until I spoke to him on the phone about it all. I committed. As of yesterday I started the 21 Day Fix plan. My original plan was to do Beachboy's Body Beast program but my mom approached me and asked if I would do the 21 Day Fix with her so that she could get started with support. I decided to put off the Body Beast plan until I returned from Chicago on the 1st of September. 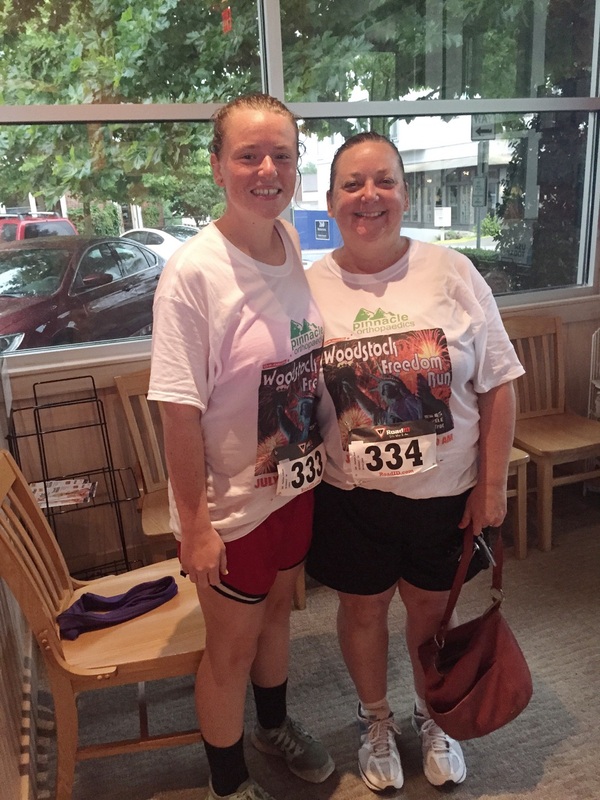 Mom & I after the Freedom Run 5k in July 2015! The 21 Day Fix is a portion control program that teaches you that healthier foods are more filling and you can still eat what you prefer all in moderation! It also comes with a workout DVD that has workouts that last about 30 minutes - including warm up and cool down! It's something that can be done at home or you can print out worksheets to take somewhere. I want to inspire people to live healthier lives - especially the people around me. I want you to be the best and the healthiest version of yourself because YOU deserve it. Follow me on my journey these next 21 days and please do not hesitate to ask for some motivation if you need it. I'll gladly help you! Passions and Pensions: Which is More Important? During Spring of 2014 I took a basketball/volleyball coaching class and during one class we had speaker come to class. I actually have no idea what his speech was for, or where he worked, or who he was but I remember he said that people should “chase their passions not their pensions”. That stuck with me. What a great plan, but what happens when you can’t afford to chase your passion because you don’t have a pension (or enough money to even attempt to chase your passion)? You have to change your views. I just recently ended my favorite job that I’ve ever had. Camp Counseling. This summer was one of the best that I’ve had and owe it all to that camp, the people I worked with and the campers who attended it. The fact is, summer is over and school has begun and camp is no more - until next summer. I’d love to go back and counsel again but I have bills to pay, goals that require money to be spent and I can’t just sit around and wait for summer to come back around. I need a job. I have to pay for school. I want to move out. I have to put gas in my car. I have a credit card that needs to be paid off. I have things I need money for. I need a decent paying job, but that would mean already giving up next summer. My passion seems to have become working at that camp with those kids. I’m at a crossroads in my life. I have to decide what is more important at the moment: having a job that can allow me to pay for school and my traveling dreams so that when I’m done with school I can follow my passion OR I can get into even more debt/quit school and work a job to maybe lead up to my passion now. I have no idea what to decide, but I have big plans coming to help me out. For now, stay tuned.